Google Chrome 4.1 Beta for Windows added a new option for managing cookies, images, scripts and how they interact with your browser. To find the new dialog, click on the wrench menu, select "Options", go to "Under the hood" and click on "Content settings". 1. Disable images - go to the "Images" tab and select "do not show any images". It's a good idea to use this option if you have a slow Internet connection. 3. Block images from a domain. Make sure that the option "show all images" is enabled, click on "Exceptions" and add a list of domains that aren't allowed to serve images. 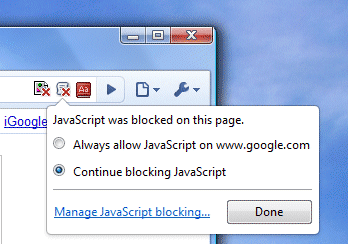 You might use this option to block ads to or to block images from adult sites. 5. Pop-up whitelisting. The default option for pop-ups is to block them, but you can define a list of safe domains that are allowed to show pop-ups. Go to the "Pop-up" tab, click on "Exceptions" and add domains. 6. Block third-party cookies. Now you can block all third-party cookies by enabling the option "Block all third-party cookies without exception" from the "Cookies" tab. 7. Clear cookies when you close the browser. This is a great way to remove tracking cookies, but Chrome's implementation doesn't let you define a list of exceptions. 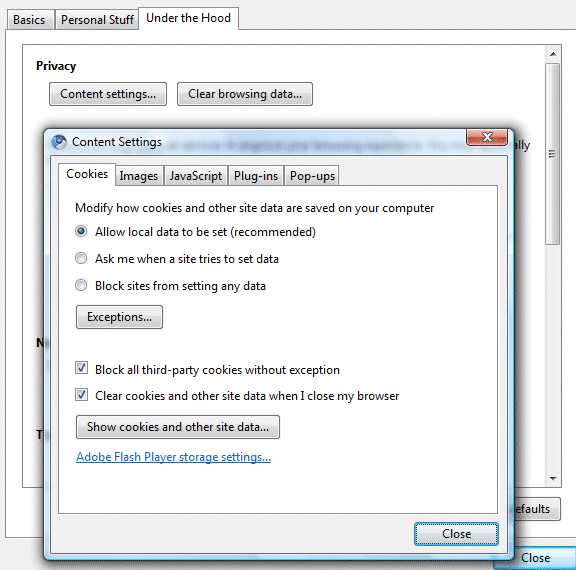 Select "clear cookies and other site data when I close my browser" from the "Cookies" tab to automatically remove cookies and local storage data. Unfortunately, combining cookies and local storage is not a great idea because they're used in different ways. 8. Disable plug-ins. You can disable all plug-ins, including Flash, Java, Windows Media Player or QuickTime if they slow down or crash your browser. Go to the "Plug-ins" tab and select "do not allow any site to use plug-ins". Please note that this feature doesn't disable Chrome extensions. You can download Chrome 4.1 Beta for Windows from this page. "Content settings" is also available for Linux in the dev channel version of Chrome, but this version is buggier and less polished. Ummm....okay, I don't think I'll be doing that one! Cool stuff.... keep going Chrome! Using exceptions with block action doesn't see to work. I tried using either top domain or wildcard without any success. I'm unable to block cookies with some exceptions listed as I can in Firefox. Still needs work, I think! (1) Hi, Is this (Chrome 4.1 Beta) Update is Selectively available??. Because while Updating [Current Chrome Version 4.0.249.89 (38071)], Chrome is NOT Updating to (4.1 Beta). Please tell how to update Chrome To 4.1 Beta?. (2) The Following Link is not accessible. Please mend it. 1. Switch to the beta channel. 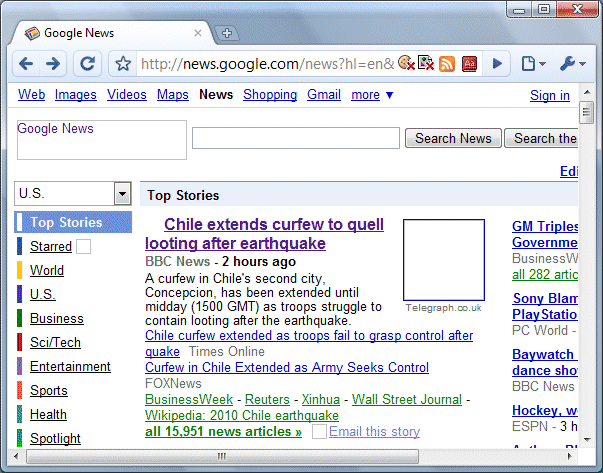 (1) When will (Chrome 4.1) be released finally for regular Chrome users?. We'll wait till that. (2) Did they(YT) Objecting regarding "Download YouTube Videos as MP4 Files" post?. Thanks, this Greasemonkey Extension is awesome!. Also Please Refer "Best Video Converting Online Service" & Best "Freeware Video Converter". They need a 'block everything' or 'block internet' function, that would be handy.